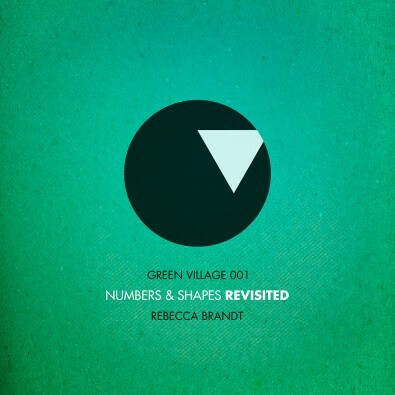 In May 2012, Brooklyn-based composed Rebecca Brandt mixed electro-acoustic, contemporary classical and electronic sounds to create her debut album “Numbers & Shapes.” It featured 14 tracks of original compositions, written and orchestrated for 30+ instruments. It received a top-25 shortlist nomination for “Best New Age Album” at the 2013 Grammy Awards. Newly-formed electronic label Green Village took notice and pitched the idea of a remix album based on the original pieces, and thus brainchild “Numbers & Shapes: Revisited” was born. It features 14 remixes from different producers and DJs from around the world, including Starkey, Policy, Liondub, Rabit and more. The project had no guidelines or expectations – the idea was simply to create dance floor-driven tracks built off classical elements, to play with the rules of genre and have some fun. After a year in the making, all remixes have come together to create a truly unique listening experience. The album will be digitally released on March 3, 2014 and will feature the original 14 tracks and their corresponding remixes – 28 tracks total.